Sometimes you need to look back in order to look forwards. Sometimes its just nostalgia. While we are hard at work in Boulder designing and building Alteryx 10.0, I thought it would be interesting to go back to where it all started. I went through the exercise of installing a Windows XP virtual machine (it wanted to give me the what’s new in XP tour!) 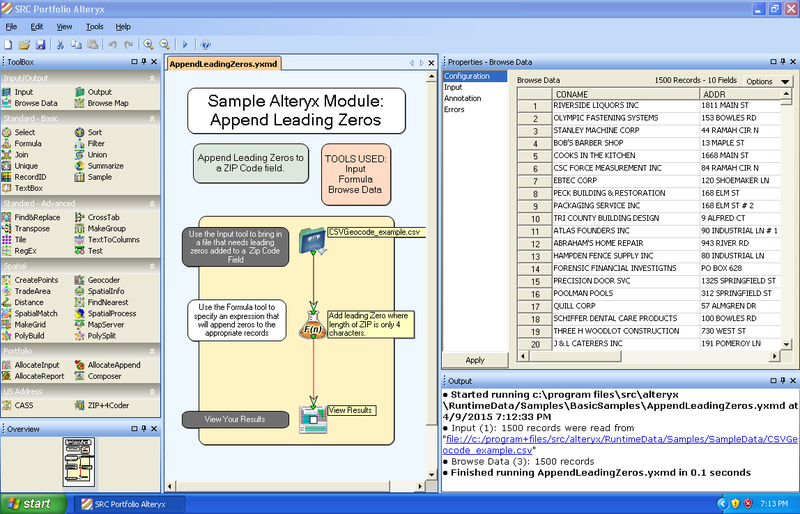 and resurrecting a copy of Alteryx 1.0. 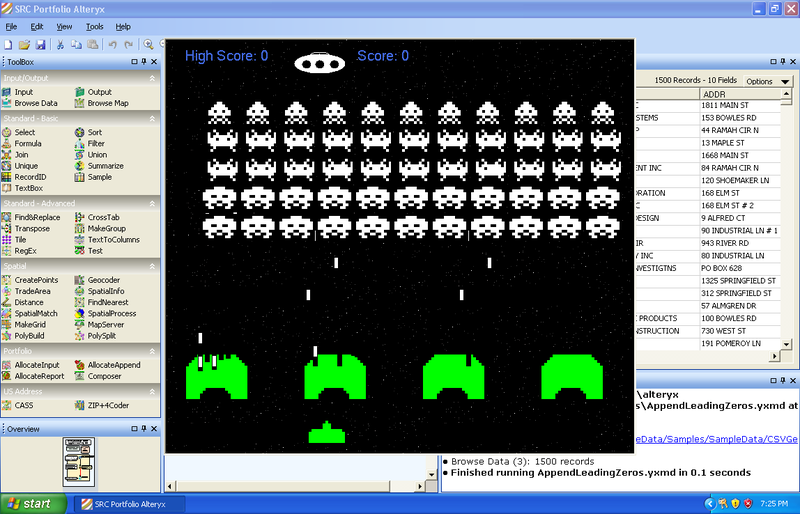 I had a little bit of a hard time finding the correct version of .Net and the C++ runtime DLLs, but after I did it was nice to see it come alive from the archives. The best news is that our old license server is still running after all these years and I didn’t have any problems getting it licensed and running. While there are certainly a lot of features in the current version of Alteryx that aren’t present in 1.0, it felt good to see that the spirit of the product really hasn’t changed much. If you knew how to use version 1.0 you would be immediately comfortable in 9.5 and visa-versa. There are certainly some things I like about 1.0 – the colors and icons for instance – but maybe it wouldn’t work as well with the quantity of tools we have now. Everything has its time I guess. Now back to working on 10.0.